Here is your chance to learn everything you’ve wanted to know about HR 4601 The National Nurse Act of 2010. If you prefer to get your news via the radio, please take the time to listen to NNNO Board Member Sheryl Oakes Caddy’s live interview with host Anne Llewellyn, RN-BC, MS, BHSA, CCM, CRRN Editor in Chief, Case Management Products and Services. Sheryl discusses the merits of The National Nurse Act of 2010, the overwhelming support for this legislation, and how this bill would benefit nursing and the public’s health. Thank you to Anne Llewellyn for posting the interview and information about the bill along with information on how to get involved on the Dorland Health website -there is also a link to the interview here. Nurses who have advanced degrees in nursing and also who carry advanced degrees in business and/or those who have or are working in leadership positions have intimate knowledge of health care systems. This knowledge represents a combination of patient care/health issues such as safety, access to health care, privacy, care coordination, customer experience, family dynamics and population risks as well as business issues such as human and material resource management, barriers to effective care, quality outcome management, collaboration within groups, fiscal responsibility, healthy work environments, strategic planning, population management, as well as the impact of social issues, culture and technology. Research has demonstrated that nurses have the public trust ; nurses' advice has the power to influence health opinions and behaviors. Nurses are an integral part of the overall care of patients, our families, our communities and influencing change on a larger scale. They have unique knowledge, skills and perspectives to contribute. 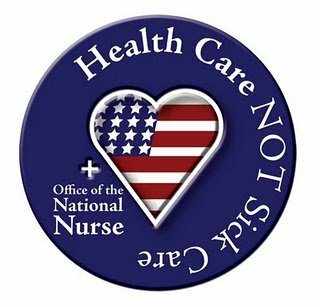 I believe nurses should have a strong voice in working collaboratively with other health care disciplines in the design and oversight of a national health care system and national health issues, and should not be limited to those issues that concern only "nursing" as it may be perceived by the public. I have achieved all but dissertation for a Doctorate of Nursing Practice, and a Maters of Science in business with a concentration in health care. I have served in a variety of health care leadership positions for 30 years, working collaboratively with many esteemed colleagues to improve the health of our community, sometimes one person, one family at a time, and at others times through service or educational offerings. Our country requires strong leadership to overcome the huge hurdles and brokenness of our current health care system. I support the efforts of this grassroots effort to enhance / expand the role of nursing within the legislative leadership process. Your comments are a succinct account of the opinions and positions expressed by so many nurses. Such posts encourage our Board members and supporters by affirming there is every reason to continue to pursue legislation and bring forward a prominent National Nurse to serve our society. Thank you for supporting this effort. 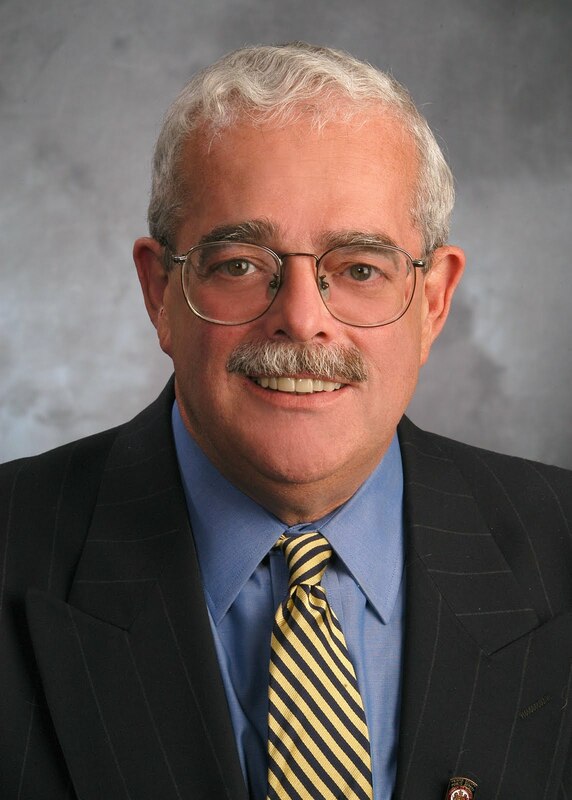 The National Nursing Network Organization and supporters thank Congressman Gerald Connolly (VA-11) for his co-sponsorship of HR 4601 The National Nurse Act of 2010. Congressman Connolly is serving his first term in Congress, representing Virginia's 11th district. According to his website, the Congressman was elected President of the freshman class in the U.S. House of Representatives. This role allows Congressman Connolly to serve as a liaison between the House leadership and freshman members of Congress and insure they have a voice in the legislative process. 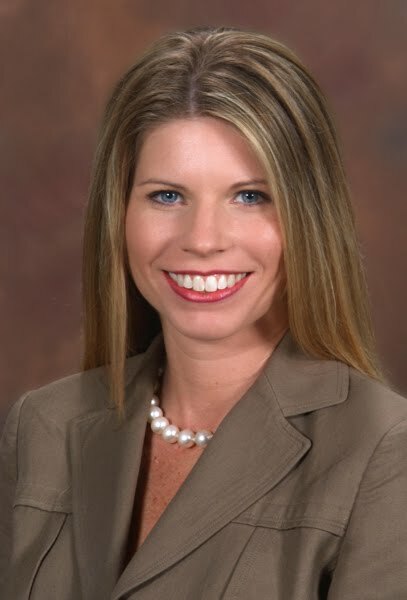 Thank you to health reporter Beth Bryant-Barranco BSN, RN who spoke during her weekly television appearance about HR 4601 The National Nurse Act of 2010. Beth practices as an open heart recovery and transplant nurse in South Carolina. She loves having the opportunity to educate people about ways to live healthy and is very enthusiastic about the potential a National Nurse would have in keeping Americans well. Beth began her piece by giving a brief overview of Nurses Week and then explained HR 4601 for her listeners. She noted why it is important to have a National Nurse to slow the growing epidemic of preventable diseases. The United States currently ranks 19th among industrialized countries in preventable deaths. The National Nurse would promote health awareness and increase health literacy. Currently only 31% of Americans can name all 5 heart attack warning signs. You can watch Beth’s interview by visiting this link. The passage of the healthcare reform package brings a unique window of opportunity to strengthen the delivery of prevention education and highlight the nurse's role in our healthcare system. We are excited to hear leaders of the Public Health and Prevention subgroups for healthcare reform who share this vision. 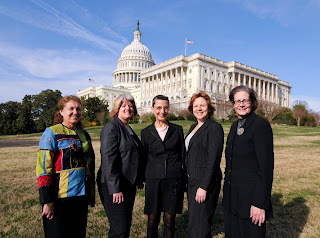 HR 4601 The National Nurse Act of 2010, introduced by Oregon Congressman Earl Blumenauer on February 4th and now supported 11 esteemed members of Congress, brings nurses to the forefront as the deliverers of the message of prevention to every American. Four state legislative bodies (Massachusetts, New York, Oregon, and Vermont) and over 100 organizations and prominent individuals have also endorsed this bill. The rise in numbers of people struggling with chronic disease threatens the population like never before. Reports of low health literacy, coupled with the increasing numbers of chronic conditions that are preventable, current efforts are proving to be insufficient. Based on the ubiquitous presence of nurses in all communities and the high degree of trust bestowed on them, an adequate nursing workforce can play a major role in prevention, thus reducing both morbidity and costs related to chronic disease. By designating the Chief Nurse Officer of the US Public Health Service to be officially known as the country's National Nurse, Congress will provide an impetus for promoting the Medical Reserve Corps and strengthening existing public health infrastructure and resources, through which nurses and other health workers within each community would deliver and reinforce messages of prevention. Developing this "Prevention Promotion" network would have a huge impact on reduction of preventable disease. This strategy would help shift our nation to focus on prevention, and along with other health care reform initiatives has potential for tremendous positive impact. The ANA social policy statement includes a call for nurses to be involved in health promotion and prevention strategies and HR 4601 accomplishes this in actions. Supporters agree and HR 4601 asks for the Chief Nurse Officer position to be KNOWN as the National Nurse, there is NO title change requested in the bill language. Please read this two page bill that is easy to understand. The title of National Nurse is necessary because we have found that too few nurses let alone members of the public can name the CNO of the USPHS. You may be asking yourself right now, who is the current Chief Nurse Officer of the USPHS? One goal of this legislation is to have a visible nurse leader who has the skills, knowledge, expertise and years of experience to help lead our country into a culture of prevention. So when First Lady Michelle Obama is speaking in front of the nation about childhood obesity, imagine the impact the CNO/National Nurse would have in inspiring and engaging the public to participate in health promotion activities. And because this position is currently funded, federal dollars would not be competed for that could go towards nursing education and improvement of the nursing workforce. The bill language is carefully crafted so as NOT to politicize the position of the CNO. The CNO/National Nurse appointment and successors would be chosen through the same nominating process currently used (this is not a Cabinet position, nor is it a Presidential appointment like the Surgeon General). Furthermore, the current duties of the CNO are retained. The position is being increased to full time; as presently the CNO works half time as the CNO and half time in the department of the HHS where the CNO previously worked full time. Doubling the CNO hours will allow more time to interface with the Federal Nurse Council and more time to direct the USPHS interdisciplinary staff. It is appropriate for the CNO to be known as the National Nurse because the reality is nurses are the largest segment of the US Public Health Service workforce as well as the largest sector of the healthcare workforce. A review of the literature has shown that health education coupled with social marketing strategies works-this is exactly what is being asked for in HR 4601. One example is Tobacco Free California. With aggressive advertising and public relations campaigns, along with community programs, the state has made significant advances in achieving a tobacco free California. As a result, California has the second lowest adult smoking rate in the nation; only Utah is lower. Once HR 4601 is explained, most rank and file nurses see this as a real opportunity, a rare opportunity, to unite nurses across all specialty areas, to help showcase public health and community nursing roles, and to do a very positive action for society- to help reduce preventable conditions. There are many ways to help promote the passage of HR 4601 The National Nurse Act of 2010. If you too are inspired to make a difference and want to take part in this grassroots campaign please email the National Nursing Network Organization's Board of Directors and we will provide you with ways to help. 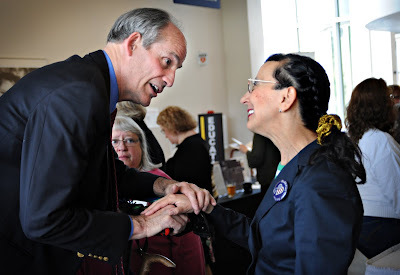 Special thanks to Oregon Gubernatorial Candidate Bill Bradburywho included his strong support of HR 4601 The National Nurse Act of 2010 in his remarks during the conference. Bradbury stated last February, "One way we can bring down costs is by recognizing the significant health services that can be provided by nurses beginning with prevention, a cornerstone of their practice. My children were delivered by a nurse midwife and my daughter just had a baby with a nurse midwife and they're all happy and healthy. It's clear to me that nurses are key in providing these health promotion services, and that government has an obligation to bring more attention to the critical role they play in our health care system. That is why (today) I am proud to add my name to the growing list of supporters who endorse the implementation of an Office of the National Nurse." It was a great day to be lobbying for HR 4601 The National Nurse Act of 2010 and student nurses representing the Portland Community College Chapter of the Student Nurse Association wasted little time. President Elizabeth McPhee introduced herself to Oregon Gubernatorial Candidate John Kitzhaber and handed him a button that read America Needs A National Nurse Now. Students studying nursing continue to be mesmerized and supportive of legislation to create an Office of the National Nurse. They realize the potential of a visible and prominent nurse leader to guide health promotion efforts. As they study and learn more about the rise in epidemics of preventable chronic conditions, they become even more convinced that a National Nurse can make a difference in improving the health of our nation. According to the CDC Website, 24 million Americans have diabetes; 57 million are at risk for developing diabetes, due to our nation’s obesity crisis. It costs $174 billion to care for the 24 million. If we were to prevent just one percent of those at risk from developing diabetes, through replication of successful health promotion programs, under the guidance of a National Nurse, we would save the country 4.13 billion dollars. Students agree and say how can we afford not to try this cost effective and common sense approach for prevention? Stokowski’s Article in Medscape Nurses, “Will We Have a National Nurse?” Top Story in ANA Smart Brief in March! Due to the large number of emails that the National Nursing Network Organization continues to receive related to a piece published in MedScape Nurses late March, we wanted to be sure those visiting this website also had a chance to read it. First and foremost, congratulations to writer Laura Stokowski MS, RN for writing a compelling article in MedScape Nurses for HR 4601, The National Nurse Act of 2010. This turned out to be the first article featured in the American Nurses Association’s March 23, 2010 online SmartBrief. Thank you to the many nurses who wrote and continue to write to the NNNO Board after reading Stokowski’s piece to request more information and ask how they can help support this important legislation to improve the public’s health and increase the visibility of the nursing profession. Stokowski begins by writing, “On February 4, 2010, something happened that could change the future of healthcare and the nursing profession. Earl Blumenauer (D-OR) introduced into the US House of Representatives HR 4601, a bill to create an Office of the National Nurse. The United States has had a Surgeon General for 140 years. Many people feel that it's about time we had a nurse in such a noteworthy, visible position. The article also contains an informative interview by Alisa Schneider, the Vice-President of the National Nursing Network Organization. One question Schneider responded to is why do we need a National Nurse? Ms. Schneider: “We have a Surgeon General and the Centers for Disease Control and Prevention, and from those offices and others we get a huge amount of health-related information -- really important information about health concerns in our country and what should be done about them. What we don't have, though, is a good mechanism to deliver those messages on a broader scale. Just as the nurse at the bedside delivers messages about health and illness prevention to individual patients, the Office of the National Nurse would deliver similar messages to the population as a whole.